Carroll continues, “Australia produces over 95% of the world’s entire supply of opal gemstones,” while other sources of opal are found in Mexico, Ethiopia and Nevada. 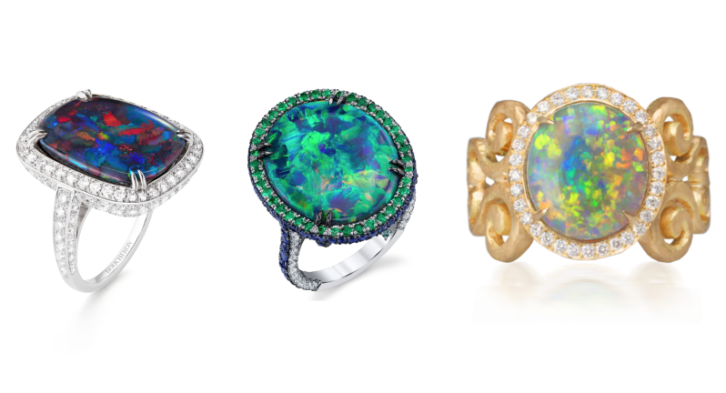 “Opals,” explains Carroll, “display a kaleidoscope of colors unlike any other gem.” She describes the stone as both colorless and colorful, presenting an array of white, yellow, red, orange, green, brown, black, blue and pink. 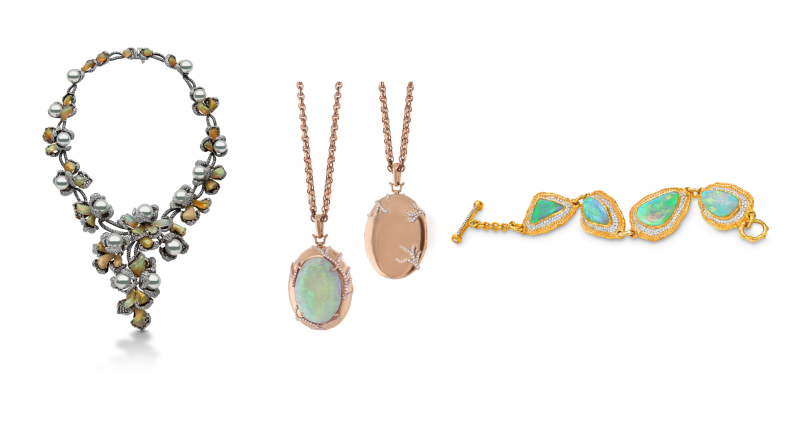 The white opal, shown above in the Erica Courtney necklace, is described by Carroll as a “milky white stone displaying a rainbow of colors with its play of colors.” The Mexican blue opal, shown above in the Daria de Koning earrings, ranges from bluish white to deep blues. The Mousson brooch, also shown above, features a dazzling green opal with play of color.